There's something elegant about a perfectly polished set of nails and beautiful hands but often times, a popping cost to achieve them will make us delay a little treat for ourselves. Well, the good news is, you don’t need to spend a hefty premium to treat yourself and your hard working hands with Elite Nail's Rejuvenating Spa Manicure. Experience a luxurious hands treatment featuring Elite Nails' exclusive spa products that will improve the condition of your nails, hands and cuticles. This affordable premium treatment will have your hands feeling luxurious and glowing with radiance. Start quietly with a relaxing soak that softens the skin, followed with a rejuvenating scrub that exfoliates and revitalizes the hands and arms. Then the hydrating treat of mask and lotion will relieve dryness leaving your hands smooth and glowing. Capping it off with a soothing massage and beautiful nail polish for finale. For this treatment, a series of six (6) treatments are recommended for best results. 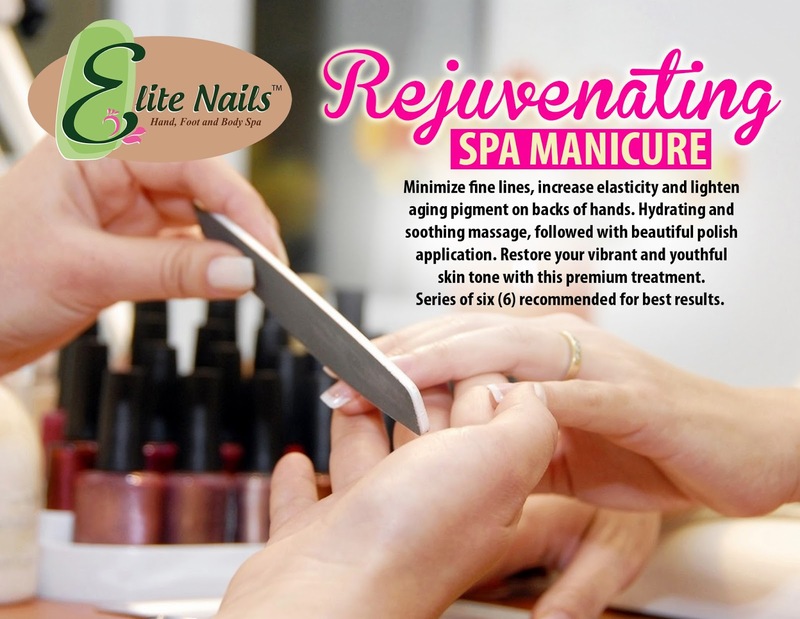 To know more about Elite Nails Spa's packages or you want to book an appointment soon, call in these numbers (02) 546-6607, 0917 8086950, 0921 5918801, 0932 8919318, 0908 8693624 - or visit our branch near you!